Happy Tuesday! When is it going to stop raining? Meh. Despite the rain, I have been using this sunscreen from Coola that I received in my Birchbox a few months ago. I would say this product is a success. It does keep me protected from the sun, and it doesn’t *seem* to break me out. The reason I use the asterisks is because I haven’t used it every single day (usually no more than four days in a row. I’m not in the sun that much otherwise). That could have some effect, since my skin is getting a bit of a break from the product. As far as the scent goes, I quite like it. It isn’t an in-your-face cucumber scent; it just smells really refreshing. It fades pretty quickly, too. This is good, because I would hate to sit in the sun and smell like a hot cucumber. Yuck! Will I buy a full size? No. While I thoroughly enjoyed (and am enjoying) using the sample, I don’t see the point in spending more money for a face sunscreen when I can get the same effect from my regular sunscreen (I use the Banana Boat Sport Performance SPF 30). However, if you find that regular sunscreens break you out, give it a go! What are your favorite sunscreens? Do you buy specialty sunscreens or just use body sunscreen on your face? I got this product in a Birchbox which I pay for myself. All opinions are my own. I’m not getting paid for this post. 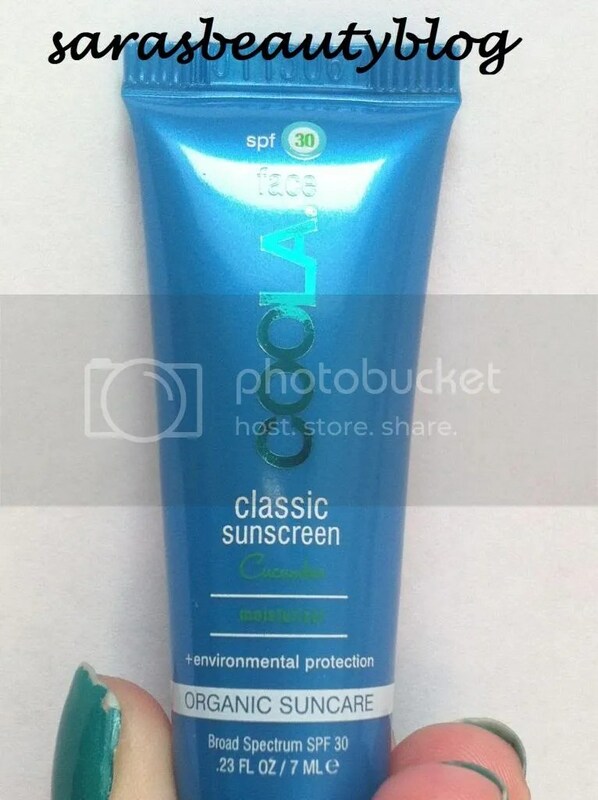 This entry was posted in Body Products, Face, Sunscreen and tagged coola, coola face classic sunscreen, cucumber, face, fragrance, photo, photos, review, reviews, sample, scent, spf, spf 30, sunblock, sunscreen. Bookmark the permalink.